My company, American Consumer News, LLC, sends out about two million emails per month. The vast majority of these are the daily edition of our investment newsletter, ARN Daily. We do send out our fair share of marketing messages too, so I’ve had a lot of opportunities to do try things out to see what generally works and what doesn’t. Be Personal. Avoid using your company name as the “from name” in your emails. Use your name, or the name of the person that will be responding to the emails. I also suggest starting your emails off using “Hi [name] – “, or just “Hi – “, and using a conversational tone throughout the letter. Use “you” and “your” language where possible. Making your marketing messages more personal will decrease the likelihood your users dismiss your message as an advertisement they’re not interested in and will increase the likelihood that they actually read your email. Have a Clear Call to Action. At the bottom of your email, you should have a single, clear call to action, such as “Click Here to Download Your Copy of XXXXXX”. I generally recommend letting this call to action be on a line of its own below the last sentence of your message and above your signature line. I also recommend having a secondary call to action below your email signature and adding another link to your landing page somewhere in the body of the message. Be Repetitive. Just because you think about your company’s products and services on a daily basis, doesn’t mean your customers do. When you send out an important email marketing message, consider sending it again a week later to the list of people that didn’t open the initial message. Alternatively, use a series of emails that all drive home the same message or call to action. I’ll frequently do three or four emails over the course of two weeks if I really want to make sure my readers get the message. Use Single Purpose Messages. If you want your audience to do something (i.e. download your report, sign-up for a free trial, or anything like that), that should be the only thing in your email. The only two choices your users should have is to (A) delete your email or (B) move forward with your single call to action. Avoid Image Heavy Templates. Most email clients will disable images by default and require the user to click a button to enable images for your emails. I find it’s best to use a simple template, or no template at all in your emails. Email is a text-based medium, so do your selling with your copy. Don’t rely on an image heavy template to do your sales that many of your users won’t ever see. Be Creative. Make use of creative subject lines and openers in your email messages. Use short subject lines that engage the reader like “Strange Question?”, “Important (please read)” or “Bad News.” Leaving the reader with some level of intrigue in the subject line will make them more likely to open the message than if the subject line gives away the entirety of the message. Of course, you won’t be able to get away with using subject lines like “Bad news…” every time, but every now and then, they can be a big winner. Furthermore, try to make your messages as fun and interesting to read as possible. Your readers already get enough boring marketing email. Manage Your IP and Domain Reputation. Your domain name and the IP address you send email from has a reputation on the internet whether you know it or not. The reputation of your mail server and your domain name will determine whether or not your messages end up in someone’s spam folder. Use black-list checkers like MxToolbox, DNSBL and SenderScore to check the reputation of your domain name and IP address. If you find yourself on a black list, typically the list manager will have a form to remove yourself from the list. I recommend checking your domain and IP address’s reputation at least monthly. Track Your Results. 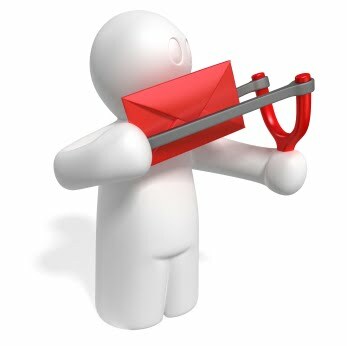 For every marketing email you send out, you need to be able to track the results that came from that specific email. You should know how many people opened it, how many people clicked through to your landing page and how many people completed the action on your landing page you wanted them to take. Ideally, you’ll know what the total value of revenue came from each email sent. If you can clearly connect revenue with the marketing emails you send out, you’ll be able to identify a pattern over time of the types of emails that work best for your reader base. Of course, the strategies that will do well for you will vary some based on your audience. What works well for my audience, may not work well for yours. You’ll want to test my recommendations against what you’re doing now by running split-tests or otherwise segmenting your audience. Being repetitive is something many thing will annoy their subs but you got to stay fresh on their minds. But this is just part of having a real sales funnel in place as it will already have messages qued up to send out to your prospects automatically.